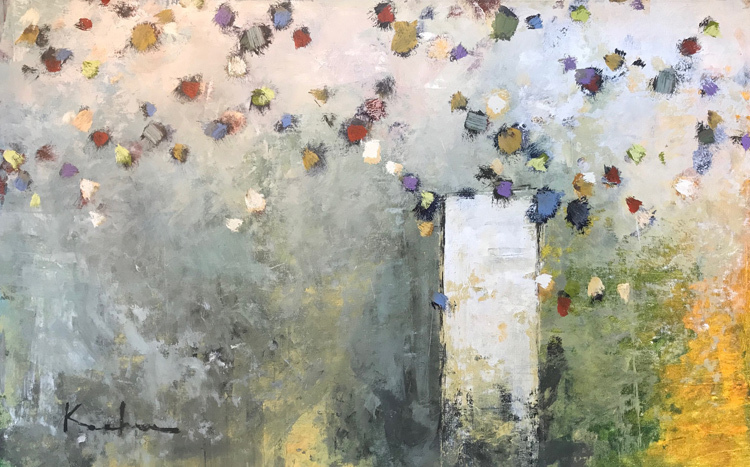 Jeff Koehn is one of a few younger artists that have captured the interest of gallery owners and art lovers across the country. Jeff was born in 1968 in Duluth, Minnesota and was raised in Marionette, Wisconsin. He became interested in drawing at the age of three and his first grade teacher was prescient when she told him he would be a famous artist some day. 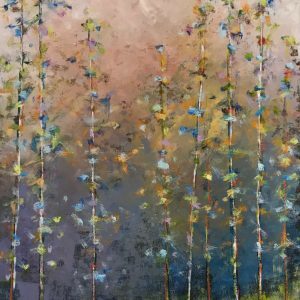 Jeff received his formal art education from the Art Institute of Colorado, where he graduated with honors in December of 1995. 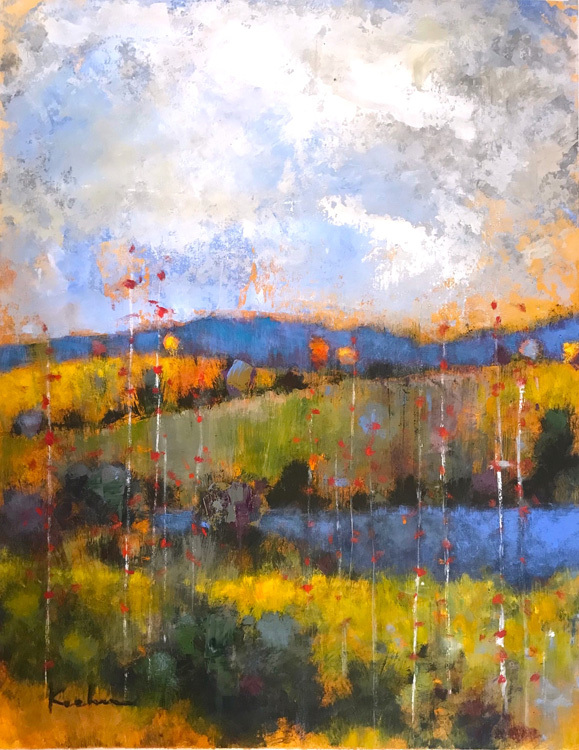 While at the Art Institute, he received extensive training in Pastel, Oil and Acrylic Painting from world-renowned artists Doug Dawson, Lynn Kircher and Don Long. In 1995 he was awarded 1st Place in the national Creative “Genie” Student Competition. Jeff’s style has evolved from early emphasis on photo-realism with the use of pastels in portraits. His earlier illustrative work has appeared in numerous publications. 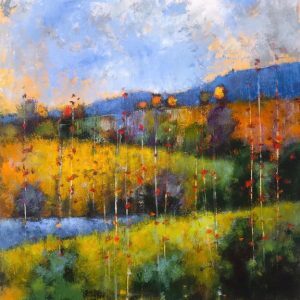 As he shifted to oil and acrylics, he has become absorbed with the excitement of color and texture, refining his paintings with dry brush techniques that lend both complexity and subtlety to his distinctive style. His influences come from Vermeer’s use of light spilling across his paintings, and also from John Singer Sargent’s lush portraits. Much of his inspiration comes from his love of nature and the outdoors. 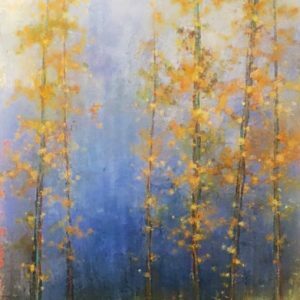 He walks daily through the woods watching the way the light reflects off leaves and different textures, and is passionate about the different colors that appear in the shadows of nature. 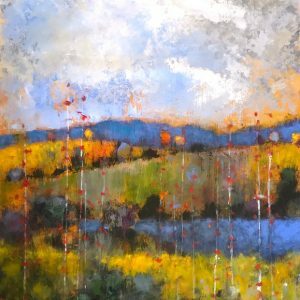 Jeff’s immediate and enthusiastic reception in the gallery community is a portend of an artist on the rise. Be the first to review “*Artist: Jeff Koehn” Click here to cancel reply.